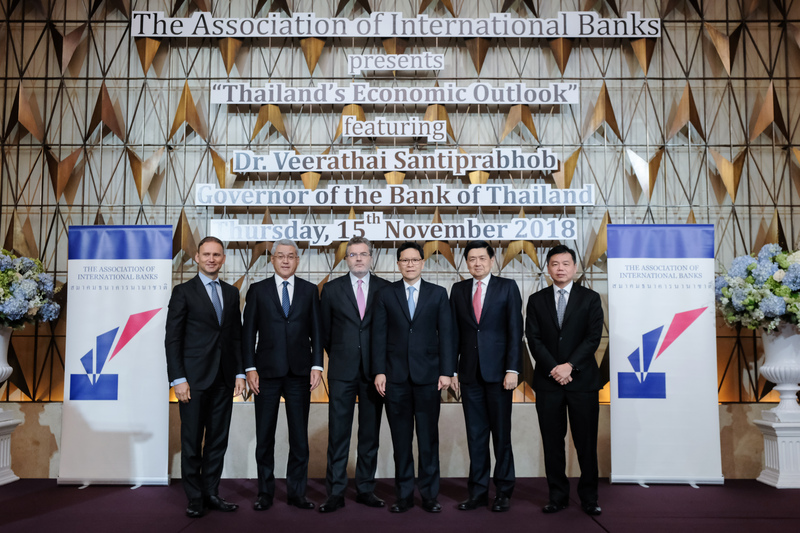 The BOT Governor, Dr. Veerathai Santiprabhob was the keynote speaker at the AIB Dinner Talk Series event held on 15th November 2018. The 30th AIB Dinner Talk Series featuring Dr. Kanit Sangsubhan, Secretary-General of the Eastern Economic Corridor (EEC) Office was held on 15th May 2018. We had an impressive turn out from our members’ corporate clients. The AIB held a seminar on Digital Transformation for Ease of Doing Business in Thailand and Digital ID Platform on 3 October 2017. Speakers were Dr. Bhume Bhumiratana, Dr. Prin Boondeesakulchoke and Ms. Kanjanee Wongrungrojkij. 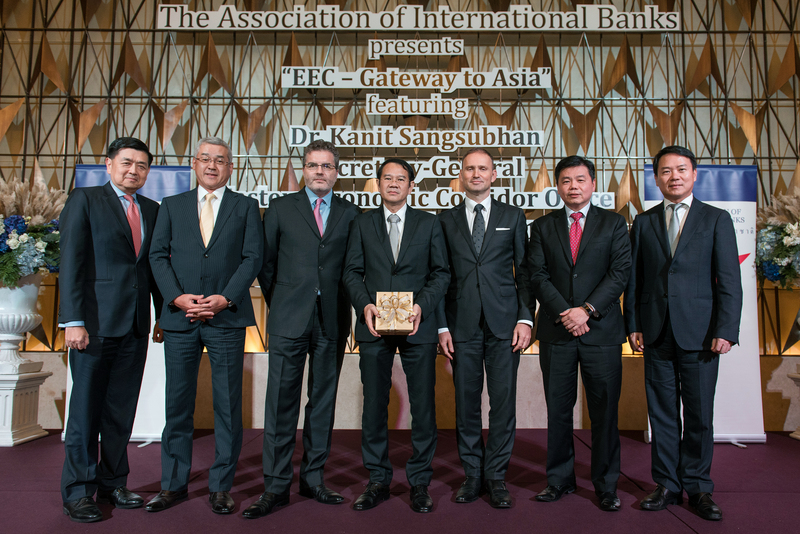 Dr. Veerathai Santipraphob, Governor of the Bank of Thailand, gave a speech on “Navigating through Uncertainties for Thailand’s Sustainability” at the AIB Dinner Talk Series on 21 June 2017.